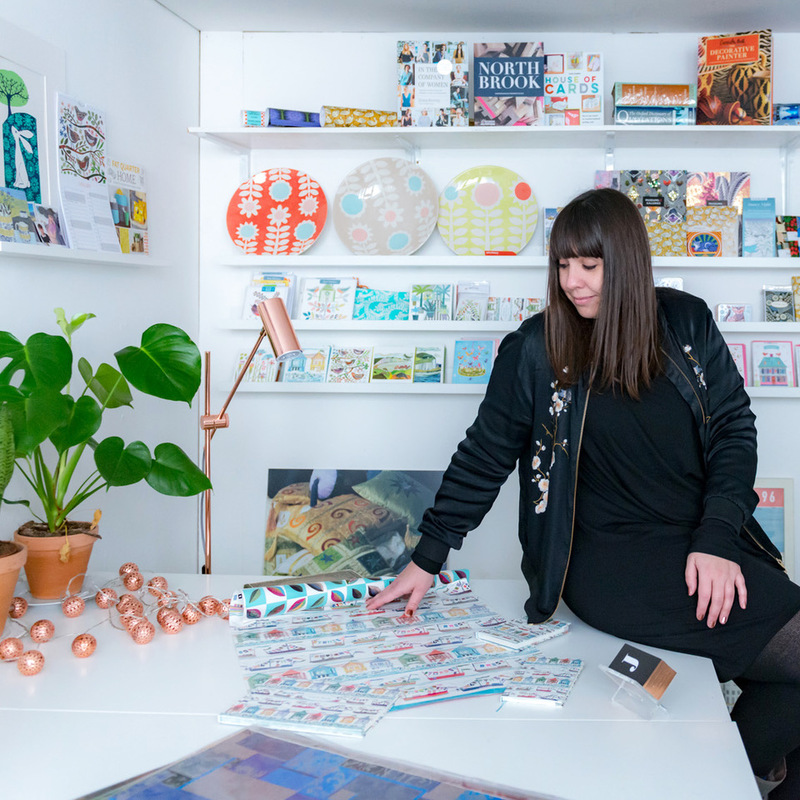 This week I’m chatting to Jehane Boden Spiers again, but this time about another of her specialisms, art licensing. What actually is it, and how on earth do you get into it in the first place? I took to Instagram to ask for your questions on this topic and I’ve tried to include as many of them as I could here. For a general overview on licensing do read Jehane’s chapter in Sarah Hamilton’s book and take a listen to her podcast with Gita Joshi here. Thank you so much to everyone who contributed to this post, unfortunately we couldn’t answer everything because we had such an amazing response! Hopefully Jehane will have covered most of your points below. Hi Jehane. I’ve successfully licensed a few of my designs in the past, but on a very much ad hoc basis as and when people and companies have approached me. I’d really like to do a lot more of this, but I’m struggling to know where to start, who exactly to approach, and how. Should I be looking to get an agent? Do you have any tips? I speak to a lot of artists whose main lack of confidence in entering this area seems to come from a lack of understanding about the licensing process itself. Getting to know the basic parameters is the best possible starting point. You’ll then able to make an informed decision about whether to represent yourself or work with an agent. If you do talk to an agent, you’ll be more experienced and will be more likely to ask the right questions. One-off fees are better for one or two images. For a range of images a royalty deal is advisable. It is often a personal preference as to whether to have the money up front or not. Fees will vary depending on the company. European countries often pay less thann in the UK because they are selling in a smaller territory. You are more likely to benefit from the success of your designs during your own lifetime. Your family and your estate are more likely to benefit from the success of your designs for 70 years after your death. You are more likely to receive samples than straight buy-outs. You are more likely to be credited. You are more likely to grow your brand name. You are more likely to develop your work into different areas. You are more likely to feel prouder when you see your work published. It is a very layered industry. There is a lot of knowledge you need to understand. It can be time-consuming and detailed to negotiate. You might need to ask a trusted professional or a helpful lawyer advice on contracts. You will need to keep a very careful track of the licenses. It needs to be administrated thoroughly from the start which can be extremely fiddly. You might earn more focusing on a volume of sales/straight buy-outs than licensing your designs. It’s not pushy to send your work to people. It’s their decision whether or not to buy it. It’s important to be pro-active. Do your research. Choose companies who you think are a fit and post them a nice selection of work. Less is more. In my mind all visual expression has room to be part of the licensing scene. Any visual image or form can be reproduced or re-appropriated in one way or another. I personally would hesitate to make a distinction between “areas” as visual expression and creativity is so inter-disciplinary. Agents come in all different shapes and sizes! Which agent is right for you will partly depend on you as an individual. Many agents have specialist areas. What area you would like to specialise in? Are you looking mainly for commissions for Books & Editorial? Or are you looking for a dedicated illustration or children’s book agent? Are you more interested in licensing your work onto products or a combination of all the above? The smaller agencies will tend to work much more closely with you. A bigger agency does not necessarily mean more work. Either a personal submission via the post or an e-submission based on the guidelines given on their website is best. Research the name of the person you are sending the correspondence to. You’d be surprised at how many submissions I have received to “Dear Sir or Madam” or even a round robin to multiple agencies at the same time. A lot of artists are approached directly by licensing clients so it begins in a more reactive way. Other artists are pro-active and approach companies directly. Naturally, many artists work with licensing agents who do a lot of the hard work on their behalf. Yes – very important. It’s the first port of call, aside from social media. It’s an important (and low-cost) opportunity to present your vision and show that you are professional. There are a lot of low-cost templates available these days. The main cost is your time. There is general information to be found on-line if you do some research. For the personal approach, I offer a comprehensive introduction to licensing. I include three key “takeaways”. These equip artists with the right vocabulary and 1: a glossary of main licensing terms 2: the basics of a licensing contract and 3: A step-by-step guide of the complex life-cycle of a licensed image (from how to correctly scan your images at high-resolution to announcing on social media). My own package is £150 + VAT for a 90 minutes one-to-one session where I talk everything through in a lot of detail. Thank you so much to Jehane for all the advice she has provided in this post and in our earlier posts about portfolios. Jehane is offering 10% off her Introduction to Licensing (mentioned above) exclusively for Just A Card blog readers! Simply mention this blog post when you contact her to book - 10% discount is valid on bookings made in the next 7 days (offer ends Friday 13 April 2018). JEHANE Ltd works closely with high-calibre artists to develop licensing opportunities for their art. They license existing artwork and liaise on commissions with clients worldwide. They have a proven record of delivering valuable returns for their clients & artists. JEHANE Ltd is an Artists' Agency based in Brighton, England. It is personally run by the founder Jehane Boden Spiers. She is an artist and business manager. Jehane has over 25 years successful experience in the creative industries. They work closely with excellent artists to identify & develop commercial opportunities. They strengthen brand positioning. They create licenses and attract commissions from clients world-wide. They sell original artworks via exhibitions & on-line (shop coming soon). They provide consultancy services for artists internationally. They increase income for our artists. They license their artworks. They sell original art.